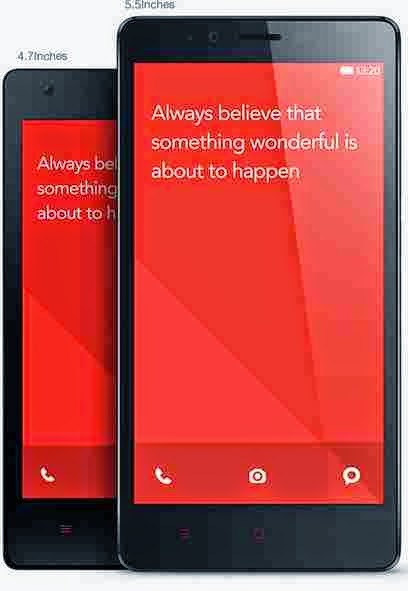 Xiaomi Redmi Note I Vs Redmi Note II | Which one should i prefer? Home » Android » Comparison » Redmi Note » Review » Smartphone » Xiaomi » Xiaomi Redmi Note I Vs Redmi Note II | Which one should i prefer? Here is Quick Comparison of China based company Xiaomi Note Series. Currently Note 3G and 4G Running in market with Lower price.But Company will now going to launch New High End Smartphone named Redmi Note II.So before buying take a one look for comparison. DISPLAY 720 x 1280 pixels, 5.5"
Which one should i prefer? Xiaomi is china based mobile manufacture company will providing high end Android Smart phones with lower price as possible as possible. According to user xiaomi provides as much quality compare to other china company.Camera picture quality is pretty good and will result in clear and without noisy picture quality. Redmi note 3G powered by Mediatek 8 core processor with 1.7GHZ. but Mediatek is not well as snapdragon. Redmi note 2 has snapdragon 1.5 GHZ Octa-core Processor with 64bit. Snapdragon provides Good support for OS up-gradation.As Mediatek some high end device still stuck on JB4.2. Redmi note 2 coming with 16GB inbuilt memory.It s good for gaming while Note 3G has only 8GB. Redmi note 2 has pre-installed Android Os 4.4 | Up-gradable to Lollipop ,while Note 1 has only Android 4.2. And Redmi Note 2 price expacted between RS.9500[$158]-11000[$183]. You should preffer according to your Budget if Note 2 comes with under 10k then it is useless to buy Note 1 3G/4G.